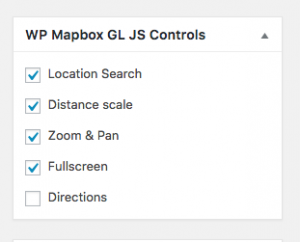 In the free version of WP Mapbox GL JS, you are able to turn controls ON or OFF. You cannot reposition them at different locations on the map. These can be easily added or removed by checking the appropriate checkbox. You will see the control instantly change on the map.